Explore Beijing's fascinating biography via its ancient laneways, all-the-flavours cuisine and awe-inspiring world heritage sites. 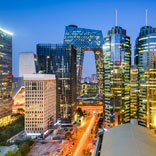 Beijing is the cultural, historical and food capital of China. It also has several of the world’s finest UNESCO heritage sites and is handy to four sections of the Great Wall. What's more, Peking Duck was invented here! In this ancient-but-modern city, every day here is packed full of travel excitement. Check out these Beijing travel tips before you plan your itinerary. There are four sections of the Great Wall within day-trip distance of Beijing. Each is distinctly different. For example, Badaling is the most popular and easily accessible section, Simatai offers an atmospheric night tour and Jinshanling hosts a marathon in April. In winter, the section called Mutianyu offers the opportunity to take a luge ride in the snow! You'll find the ancient way of life still intact in the hutongs (laneways) of Beijing. Within these little slices of history, craft breweries and boutique bars are a great place to stop and refresh after a day of Beijing sightseeing. Great Leap Brewing offers some fantastic draught beers and 12SQM Bar is exactly that - 12 square meters of great bourbons and single malt whiskeys. In the north-east of Beijing, find the Bauhaus-style complex of 50 decommissioned military buildings known as the 798 Art Zone. It houses galleries, artists' studios and exhibitions from a range of national and international artists. There's traditional and contemporary art spread throughout the complex, as well as sculptural pieces. This art precinct is definitely one of the most interesting things to do in Beijing. Walk up the man-made Jingshan Hill to discover a panoramic view of the Forbidden City. The hill is 43m high and was made from soil excavated from the moats of the Imperial Palace. Take your time to explore the historic buildings as you meander up through the beautifully landscaped gardens that cloak the hill's slopes. Spend a tranquil afternoon in the central city exploring the expansive gardens surrounding the Temple of Heaven, one of the prettiest places to visit in Beijing. Amidst 2.5 square km of park, you'll find ornately decorated and decadently carved buildings steeped in history. The Chinese Rose Garden and 100 Flower Garden are verdant and lush, and the 800 year old cypress trees still reach for the skies. Beijing roast duck - otherwise known as Peking Duck - is a dish comprised of thin slices of crispy-skinned duck, served with spring onion, cucumber and small soft pancakes. Wrap everything together and top with a drizzle of a sweet-sour bean sauce - it's a blissful bite! This iconic dish is served at many Beijing restaurants; two of the best include Diji Minfu and Da Dong Roast Duck. At almost 50,000 square meters in size, and with 10,000 dealers, the Panjiayuan Flea Market is an incredible treasure trove of antiques, curios and second-hand bargains. Open on the weekends, it's a place to find something rare and wonderful or a novelty item that'll always make you smile. Located on the south east side of the city, this unique Beijing shopping experience is a must-do for mementos to take home. The Summer Palace was built in 1153 as a royal escape from the summer heat of the city. Emperor Qianlong made 100,000 labourers enlarge Kunming Lake, and you can enjoy the fruit of their digging. In the warmer months you can take a relaxed boat trip to check out the sights, while in January the lake turns into a 700,000m2 skating rink! 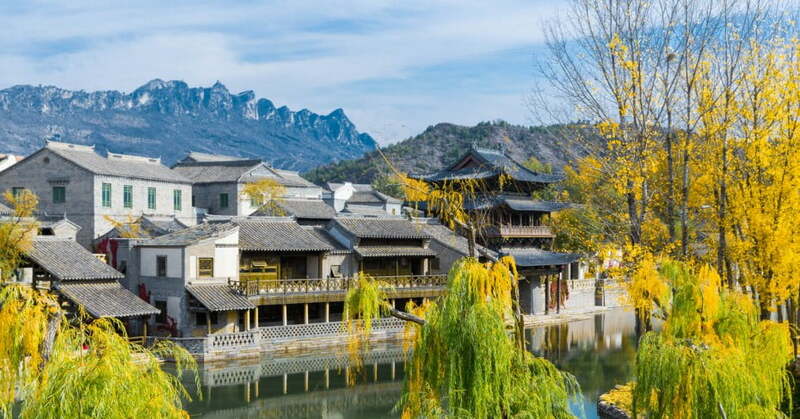 Water towns blend history, architecture and nature in an enchanting way, so save a day to visit beautiful Gubei Water Town, which is a couple of hours north of Beijing by car. You could even do an overnighter here, because the town really shines after dark. Lots of movies have been filmed here because it's extraordinarily picturesque. You can easily combine Gubei with the Simatai section of the Great Wall. Sanlitun is the food, arts and boutique shopping district of Beijing. While it's focused around 'Bar Street', the side streets contain cheaper, more casual establishments. It's easy to spend an entire evening here, enjoying the nightlife, flavours and people-watching. Try Modern Nomads for a cheap Mongolian meal, or splash out at Bei Restaurant for fine contemporary Asian food.